We are constantly focused on continuous improvement to drive more value to customers and demonstrate our commitment to being a AS9100 Rev D accredited company. As part of this process, we undergo yearly surveillance visits to ensure we are on track with our commitment. Following our most recent three-day audit from SGS, we were delighted to have received positive feedback for not only adhering to the processes and standards of the accreditation but to have also received compliments on our enhanced internal communications and employee engagement. Enhancing our internal communications and employee engagement was something that has been a top priority for our management team in the last year. 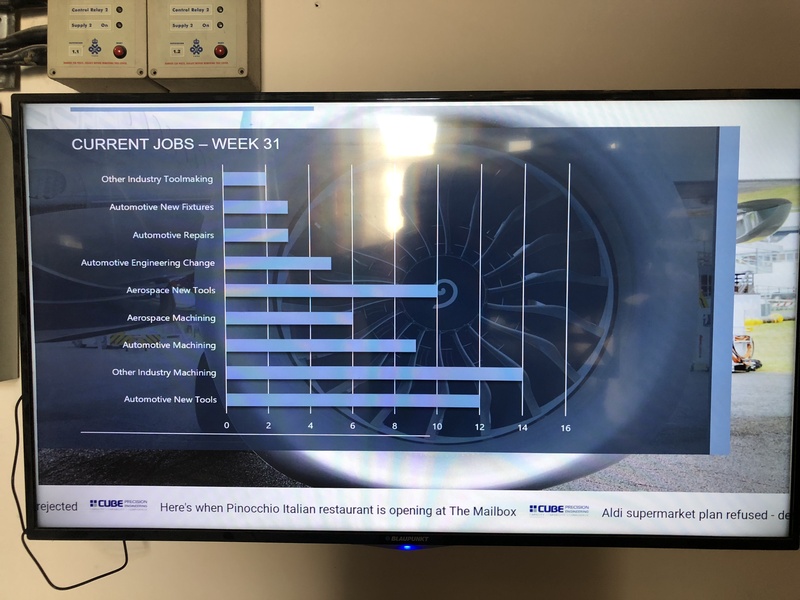 Our new visual management model currently allows employees real-time information of job status, order updates, product details, KPI’s and key statistics. It is also used to share any employee suggestions or customer feedback. “We understand that employee communications are essential for every workplace and in most cases is the glue that holds companies together, which is why we have spent time focusing on ways to improve this and why we are already planning on introducing further visual management tools around the factory.